It originally aired on September 23, 2010. Damon, Elena and Stefan attend the school dance with a 1950s' theme, where Alaric introduces himself to Damon. The first episode premiered on September 9, 2010, at 8 p.m. It originally aired on October 7, 2010. It originally aired on February 3, 2011. "A Few Good Men" is the 15th episode of the first season of The CW television series, The Vampire Diaries and the 15th episode of the series overall. "Promised Land" was originally aired on May 8, 2014, on The CW. The fifth season premiered on October 3, 2013, followed by the series premiere of the spin-off series The Originals. "Whose Line Is It Anyway?" (1998-2007, 2013-?) is the US edition of the British show of the same name (with many of the same performers). 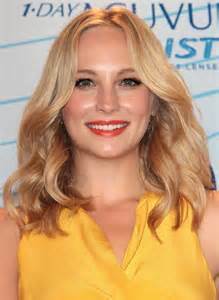 "The Last Dance" is the 18th episode of the second season of The CW television series, The Vampire Diaries and the 40th episode of the series overall. It originally aired on April 28, 2011. It originally aired on November 19, 2009.